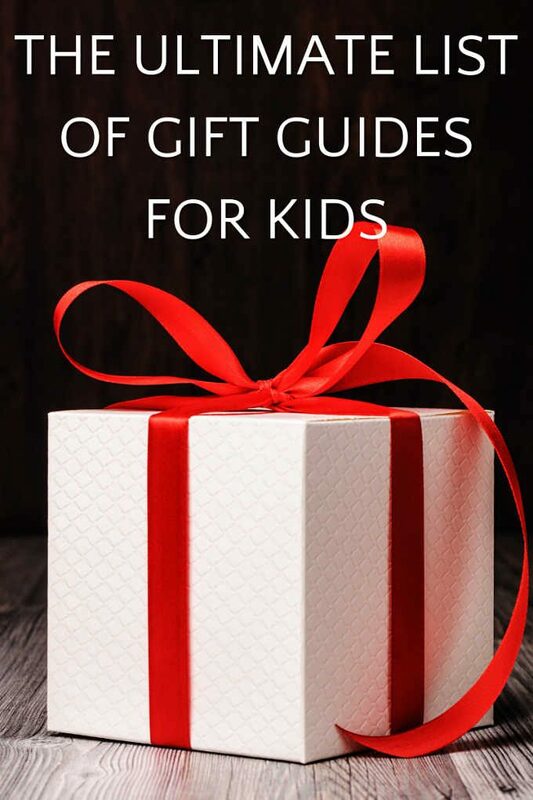 So you need to find some great gifts for kids? You’ve come to the right place. We’ve specially curated over a dozen unique gift guides for kids so you can find just the right present for your little ones. But these aren’t ordinary gift guides! No sir, the items on these lists are hand-picked to promote curiosity, screen-free fun, brain development and joyous entertainment. These are not your typical educational gifts for kids. There will be no birthday or Christmas moaning or groaning ever again! 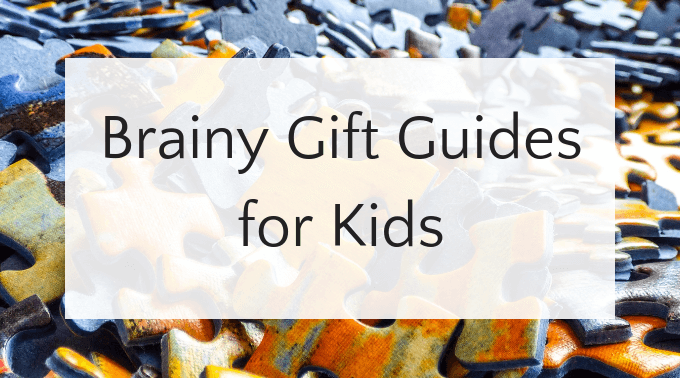 So whether you’re looking for a birthday gift for a preschooler or a creative present for your ornery tween, you will find it on one of the gift guides below! A list of our favorite games to give as gifts. On this list you will find the best games for preschoolers, family card games, strategy and logic games and informational trivia games. These are the games we have given over and over and have proved to be universal winning gifs! Single Player Logic Games. This might be our most popular gift guide! And rightly so. Who doesn’t want to give their child an entertaining, screen-free, brain-boosting toy that also keeps kids busy and quiet for a stretch of time (dare I say hours…)? Stocking Stuffer Games. Not just for Christmas stockings! 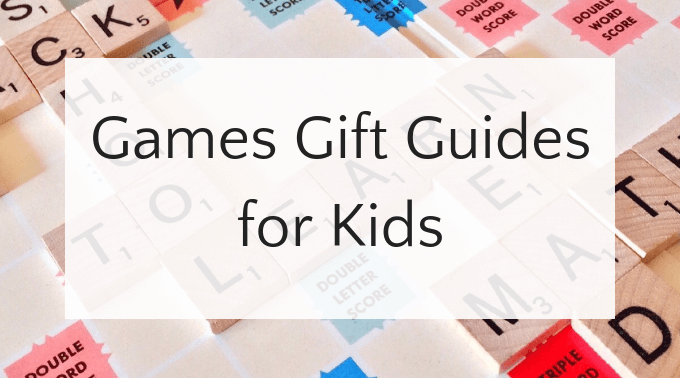 This gift guide is complete with unique, portable games: dice games, card games and more that kids will adore. Make Your Own Board Game Gift Kit. Have you ever considered giving your child everything they need to invent their own game? Choose from these supplies to nurture your child’s creativity and you’ll soon be planing the best family games ever, and supporting your child’s innovative spirit as well. Non-board Board Games for Families. Not every board game uses an actual, foldable board! Try one of these crowd-pleasing games that families with kids of all ages will enjoy. Creative STEM Gifts for Your Maker Kids. Gifts that promote science, technology, engineering and math skills will help build your little ones’ brains and equip them with the skills they need for success, no matter what field they enter later in life. This guide has imaginative building toys, games and more. Match a STEM toy and a STEM book! One of my favorite ways to put together a special and unique present for a child is to choose an inspiring picture book and then find a coordinating toy or activity. This list gives you the top ten STEM picture books with a matching toy selection. Literacy and strategic thinking in one package! What could be better? Math Gifts for Kids. Math is fun! These games, toys and books take the homework out of mathematics and build kids critical number sense through play. You will be surprised at how much your kids love these ideas. Star Wars Gifts that Enhance Learning. There are so many Star Wars licensed products on the market, how do you separate the wheat from the chaff and give your young Star Wars fan something they will love but will still satisfy your desire to get them an educational gift? Try one of these Star Wars-themed toys that also enhance learning. Your child’s literacy, logic and science skills will thank you! Gifts for Aspiring Coders and Engineers. Learning how to code doesn’t have to take place exclusively on a screen, and building the knowledge for children to learn coding is easier than you think! Even preschoolers can get in on the action with these coding gifts. Creative Gifts for Tweens. Tweens are hard to shop for! This eclectic collection of ideas promote creativity and thinking skills. There is something for everyone! Games and Toys that Encourage Reading. We chose these gifts especially to appeal to reluctant readers. These games and toys build literacy skills like reading comprehension, recognizing sight words and increasing vocabulary. Best of all, they are FUN, so even your child who struggles with reading skills will reach for one of these fun educational gifts. Best Picture Books to Give as Gifts. You want to give a child a special picture book but are concerned about picking a book they don’t already own. This list gives you excellent options for toddlers through tweens. Give a high quality story that is still off the beaten path. Picture Book Gift Guide by Interest. Best picture books for all ages. Is your child interested in dinosaurs, princesses, history or something else entirely? 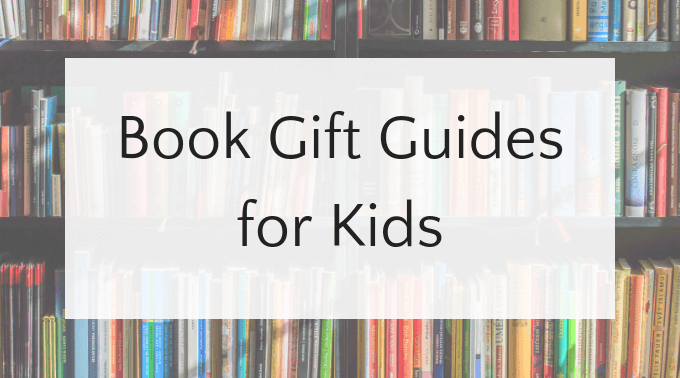 This book gift guide has titles organized by theme and interest, so whether your child wants something funny to read or a book to inspire their inner superhero, we have you covered! Early Chapter Book Gift Guide by Interest. These books and series are aimed at newly independent chapter book readers, ages 6-10. 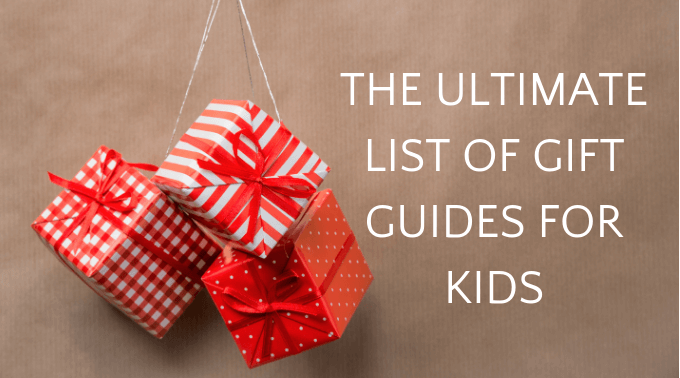 Like the picture book gift guide above, the list includes books organized on a variety of topics. Middle Grade Book Gift Guide by Interest. This list is geared towards 8-13 year olds. Fantasy, detective novels, adventure, you name it! Book and Toy Combinations for 5-7 Year Olds. We hand selected inspiring toys to match up with a specially curated book list so you can give the ultimate combination of literacy and fun to any child on your list. Whether your child is a future detective, an arts and craft aficionado, a geography whiz or an inventor, we have the perfect book and toy gift set for them. Book and Toy Combinations for Preschoolers. These book and toy sets are designed to spark your preschoolers imagination. After reading one of these delightful picture books, your preschool aged kid will want to explore, create and play. And we all know the best learning happens through play, so what are you waiting for!